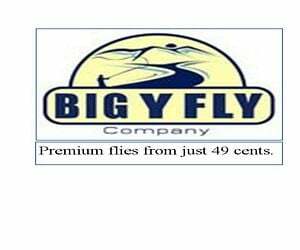 Fly: Unweighted Hoh-bo Spey or similar on Wandington shank. Casts: Single Spey, Snake roll, Stap T, Perry Poke, Snake Poke, Jelly Roll, and I think I saw a double Spey in there somewhere along with a cack handed Snap T.
On my way home I played in the sun for a while waiting for it to go behind the mountains. Rained out at work, I spent a previous day in the week on the Siletz, alone, without a person, or a fish, within miles, packing nothing but a camera equipped with a dead battery. Also I fell in several times, both rods submerged under my body, floating downstream (in two feet of water) camera and case floating ahead of me. Twice. It was refreshing. I pretty much stayed in that state of refreshment all day. For a change of pace I took a couple of very hard spills on dry ground among big rocks. Thankfully I was not injured and no camera, phone, or rods were seriously damaged, just scratched up a bit. To the fella who I let step in and fish the run ahead of me on the N Santiam while I was making this video, Your welcome. Of course as soon as you left and the sun was off the water I fished the run and sure enough, I got skunked. But it would have made a good story if I had picked your pocket. Tight lines. Here is a great video of proper Underhand Scandinavian style casting from Cloner on Spey pages. Check out his Vimeo videos. He is excellent.